(Vancouver, B.C.) – Vancouver’s splendid dining scene is inseparable with the excellence of local Chinese restaurants. Delicious Chinese dishes made with fresh Canadian ingredients haven’t just opened the eyes of locals; tourists from around the world are also attracted by their quality and innovations. As a trendsetter in honoring the best of Chinese Signature Dishes in Greater Vancouver, Chinese Restaurant Awards (CRA) returns for its fourth consecutive year with a series of exciting plans and events. Besides the much-anticipated awards, CRA 2012 will also launch the Signature Dish Dining Festival in November 2011. 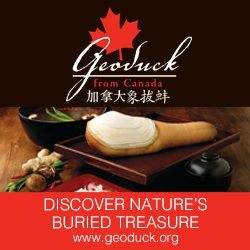 By gathering the best of Chinese culinary talents, the festival will showcase eighteen Chinese restaurants in Vancouver, Richmond, and Burnaby, each with a different and innovative Signature Dish menu that combines fresh Canadian ingredients with traditional Chinese culinary skills. The public is invited to participate and taste all these exquisite Signature Dish dine-out menus, while more information can be found on its official website: http://www.ChineseDiningGuide.com. Building from CRA’s three consecutive years of success, CRA 2012 is divided into two components: Critics’ Choice Awards and Diner’s Choice Awards, both with new award categories to enhance the excitement. This year’s Critics’ Choice Awards will include three new categories from the Signature Dish Dining Festival, where the Best Alberta Beef, Alberta Pork, and Best use of Amoy Sauce dishes will be carefully selected. Nine other categories will comprise of twenty-two award-winning Signature Dishes, while the Wine & Spirit Award will be in place, to encourage more restaurants to come up with even better wine pairing with Chinese dishes. “We shall revise award categories in order to produce a better dining guide, in which there could be more than one Signature Dish in each category. For example, there maybe more than one BC Dungeness crab dish that deserve the Signature Dish merit; we don’t wish to exclude them simply because each category could only allow just one winner,” explains Stephen Wong, founding chair of CRA judging panel. CRA 2012’s Critics’ Choice Awards judging panel is comprised of 8 remarkably qualified restaurant professionals and journalists, all with thorough knowledge and passion for Chinese cuisine. As in previous years, our judging panel have begun their secret tasting in various Chinese Restaurant across Greater Vancouver in August, In early December 2011 when the tasting sessions end, they will cast votes by secret ballots, while all ballots will be sent to PricewaterhouseCoopers LLP for auditing. Last year, CRA’s Diner’s Choice Award had set another record in the number of votes received – a total of 11,453 votes were casted online by both Mainstream and Asian dining public, along with enthusiastic discussions about where has the best Chinese food in town. 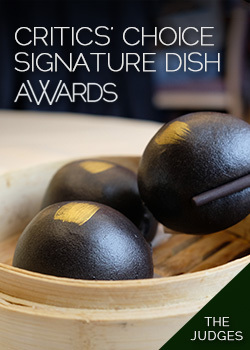 New categories, such as Best Xiao Long Bao (Shanghainese soup dumpling) and Best King Crab Dish, have been added to this year’s Diners’ Choice Awards, so that diners are encouraged to evaluate Chinese food in Signature Dish terms; other three new categories, Best New Restaurant, Best Hunan/Szechuan Restaurant and Best Food Court Stall, are added so that the result will be more inclusive of Greater Vancouver’s vibrant Chinese dining scene. Adding public’s enjoyment of the Signature Dish Dining Festival, this year’s Diners’ Choice Awards will include four additional categories to highlight the public’s favorites. These four categories are Best Signature Dish Dining Restaurant, Best Service, Best Dining Environment and Most Innovaitve. The public is invited to nominate their favorites on the Diners’ Choice Awards website (www.votedinerschoice.com), between October 18th – 31st, while online voting will commence on November 1st, and until November 30th. Winners of Diners’ Choice Awards will be announced online on December 11, 2011, while winners of Critics’ Choice Awards will be announced on January 17th, 2012, at an Awards Ceremony.